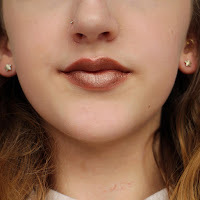 I was recently in Primark and these metallic lip kits caught my attention. A lip liner and liquid lipstick for only £3! 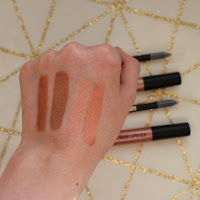 I picked up both shades to try out and review for you today. 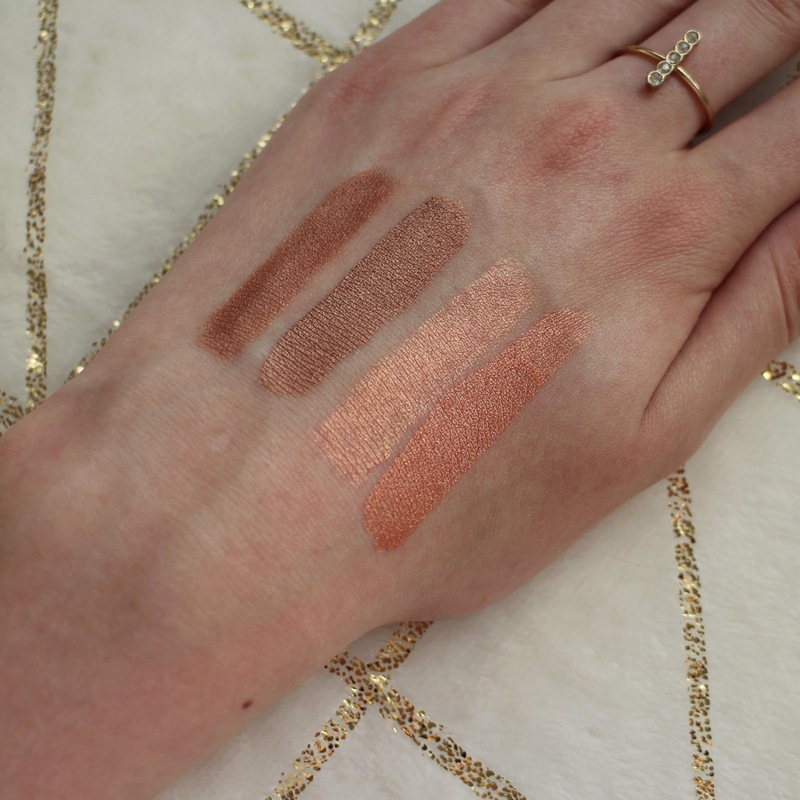 The first shade I got was 'Molten Bronze.' This is an unusual shade for me as a lip colour as I'm used to wearing bronze on my eyes. Nevertheless, I really like this colour and the formula of the lip liner and the liquid lipstick is really nice. Both of the liquid lipsticks are not drying compared to other liquid lipsticks I've tried and they last a decent amount of time. However, they do wear off a little bit after eating and drinking. 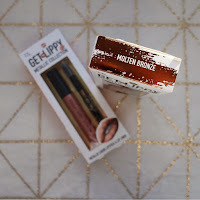 The other shade I got was 'Molten Lava.' 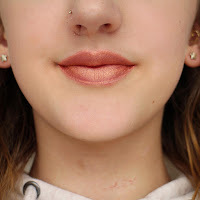 This colour is a very wearable peach shade but it makes your makeup a bit more exciting due to it being metallic. I think I will probably get more wear out of this shade than the other one. 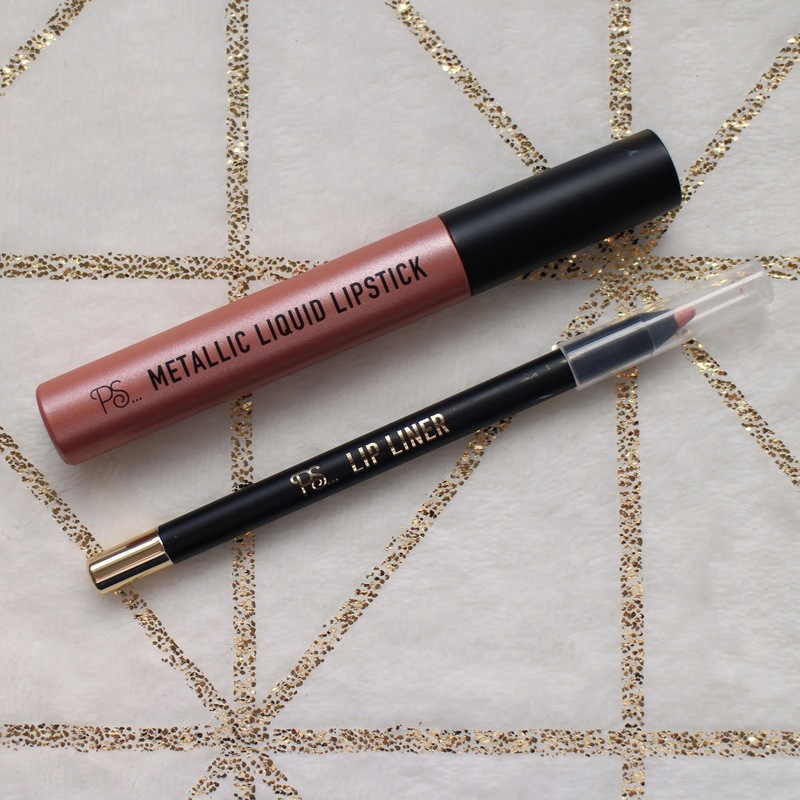 The formula of the lip liner and the liquid lipstick is the same as the 'Molten Bronze' shade so I like them both equally in that way. 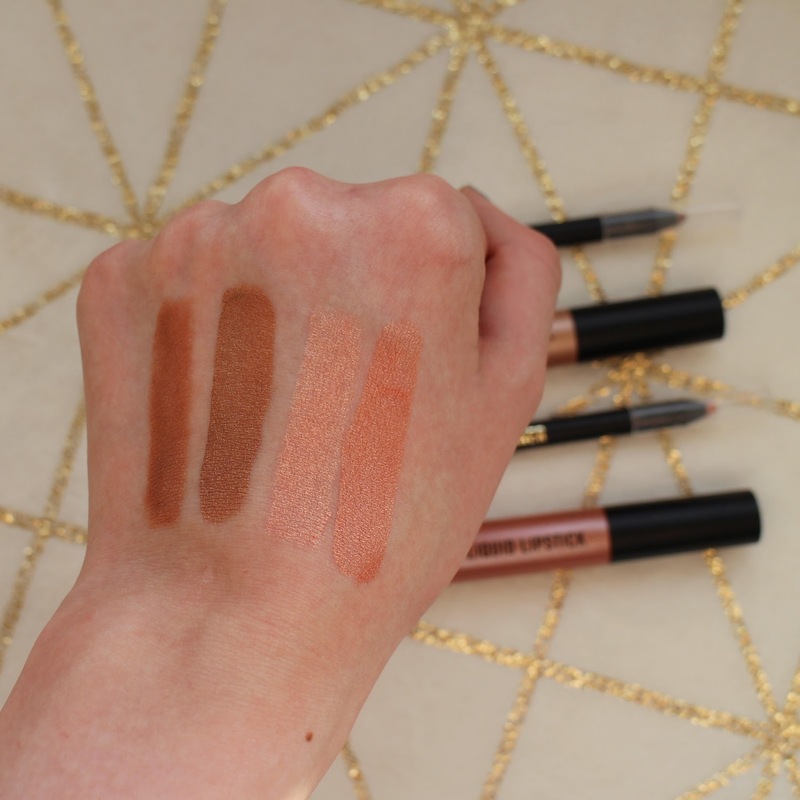 In the swatches above left to right - 'Molten Bronze' lip liner then matching liquid lipstick, 'Molten Lava' lip liner then matching liquid lipstick. 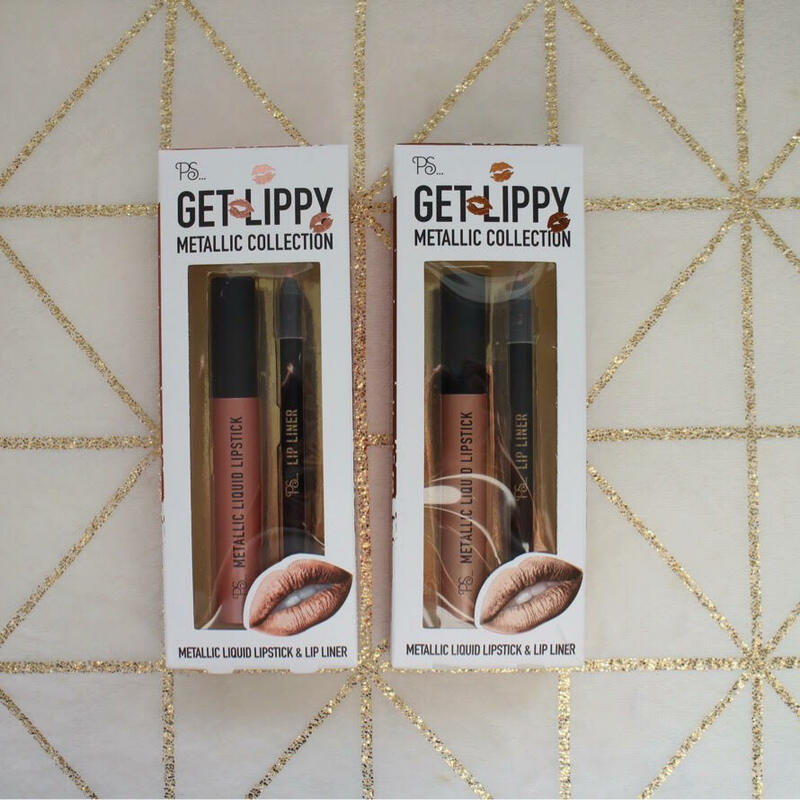 Overall, I would definitely recommend these Primark Get Lippy Metallic Collection products. They are very pretty colours and good valuable for money. 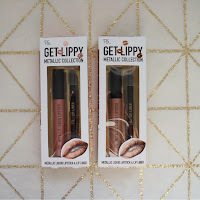 If you want to try some metallic lip colours but don't want to spend loads of money on something you're not sure you will like then buy these for only £3 for Primark. 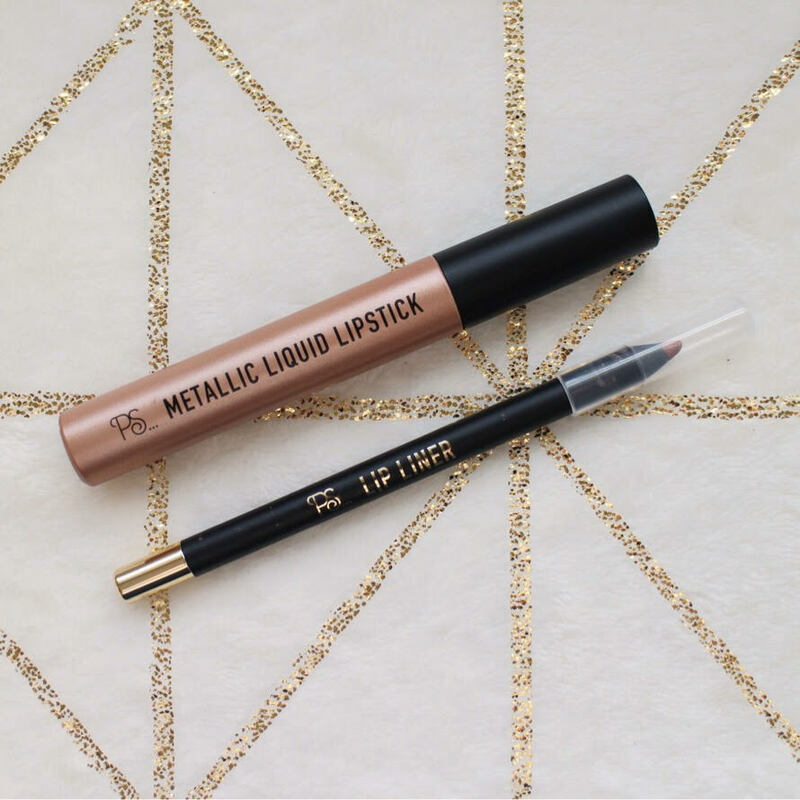 Have you tried these lip kits or any other metallic lipsticks?